We are really interested in bringing people together who are proactively getting in there and creating solutions to the challenges they see are important in their community. It’s going beyond the complaints. It’s recognising there’s an issue and doing something about it. See if you can join in with an existing initiative rather than starting up your own – sometimes what we want is similar to others and it can save a lot of time to link in with what others are doing already. 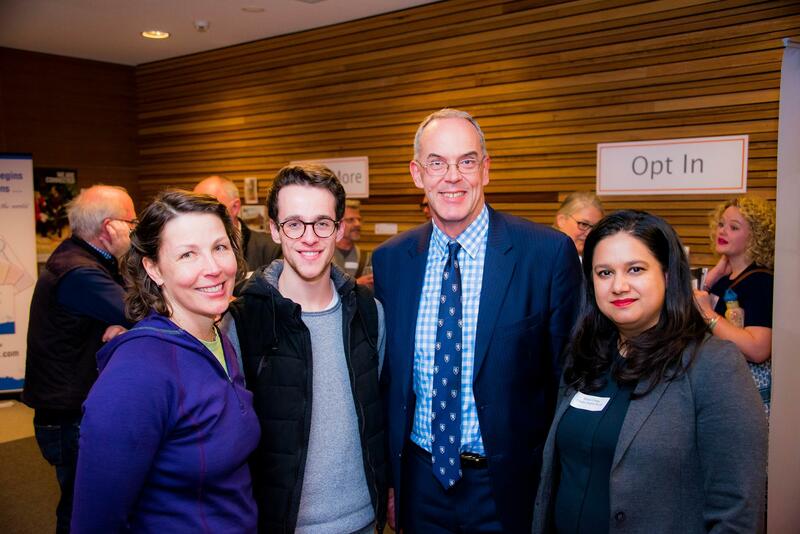 John Roberts (pictured above) is interested in supporting the aged and people with dementia. He want’s to make sure people know the options available to them and has started by sharing this vision with people around him. 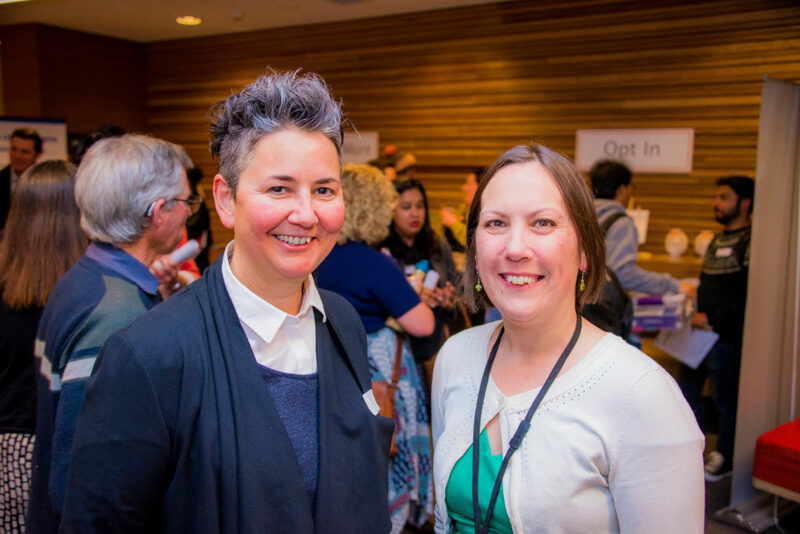 Low cost housing for women over 50 is something Jacqui Stocks (pictured on the left above with Make a Change Karen Corr) is passionate about. As a first step she wants to build a team to help get a new project off the ground. She made a whole lot of new connections at Creating Our Future, and now has many phone calls to make following the event. Isaac Blencowe (pictured above left, with David Hughes, Be.Bendigo) sees the need for people to slow down, relax and be more present. He started a business to run mind body exercise classes and is looking to meet like minded people to help grow this vision. Tom and Jahmeile provide a voice for young people through youth produced Ambedo Magazine. They attended Creating Our Future out of interest and came away with way more than they thought. 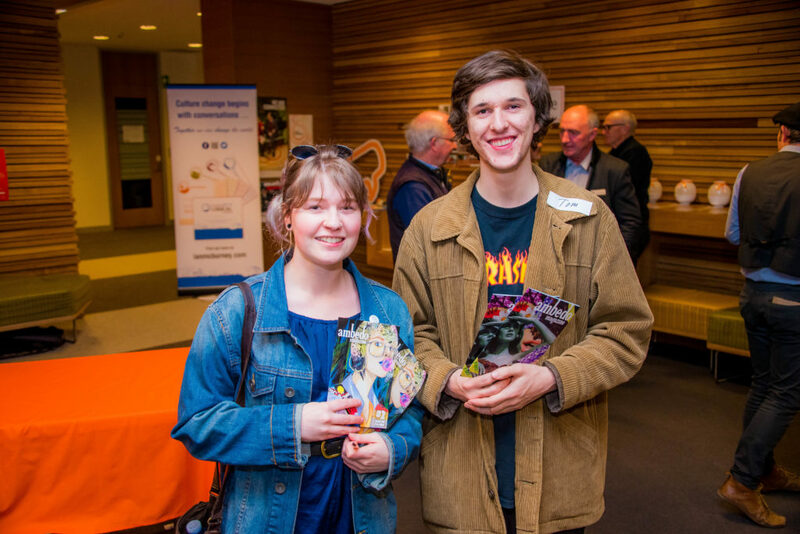 They connected with many new people including Tayla from Young People for Refugees, Leanne from Boomerang Bags, and youth leadership presenter Gabrielle Giggins, and are keen to showcase all of them in their magazine. They’re also now attending a wild food workshop run by one of the attendees Sparrow Daley. Become a volunteer and support individuals and families to settle into life in Australia. Volunteers can undertake a number of roles, including tutoring, reception duties or supporting programs such as playgroups. 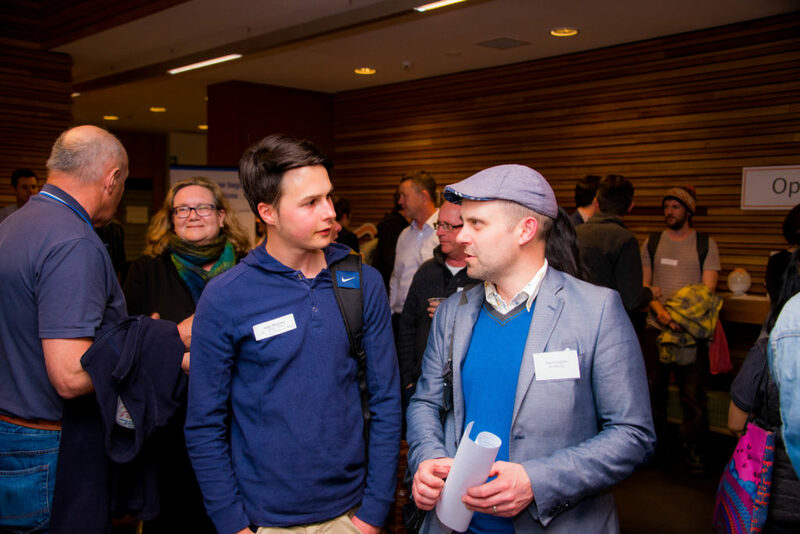 Career Horizons is a unique web portal designed to link education providers and students to a range of workplace and career experiences offered by local businesses in Central Victoria. The Bendigo Sustainability Group is made up of local people and businesses interested in all aspects of sustainability. Latest initiatives include Bendigo Community Power Hub and Sustainable House Day. bHive is a new cooperative for Bendigo, an online platform that will allow local enterprises and people to own Bendigo’s sharing economy. Bike Palooza Bendigo is a month of events for bikes, celebrating cycling of all kinds from everyday riding to the shops, university, school or work to mountain biking, road riding and BMX. Generating positive conversations across all political spectrums in the community about refugees and asylum seekers, by getting people to host kitchen table conversations for discussion where they invite their own friends and neighbours to attend. We are looking to link individuals with a disability to areas of their interest in their local area. One way we do this is through volunteer mentors who may have similar interests or experience that they can share. If you would like to know more about being a volunteer mentor please contact us. A co-working space in Bendigo – a collaboration of businesses passionate about creating a bright future for our clients and the wider community. Desks available including 1 scholarship for a social enterprise. Random Hacks of Kindness Bendigo (RHoK) is a not for profit local group that is part of a global movement of technologists who are hacking for good. 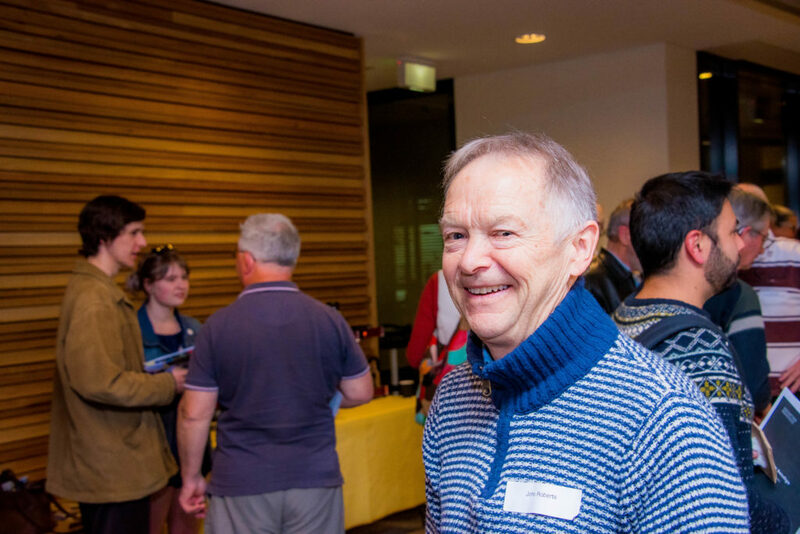 We invite participants to work together to produce practical, open source software to help solve social problems including those related to disaster risk, major crisis (like bushfires, floods and earthquakes), and societal challenges which our communities face. Take action on climate change by joining the Central Victorian Fossil Fuel Free Charter and divesting from fossil fuels.